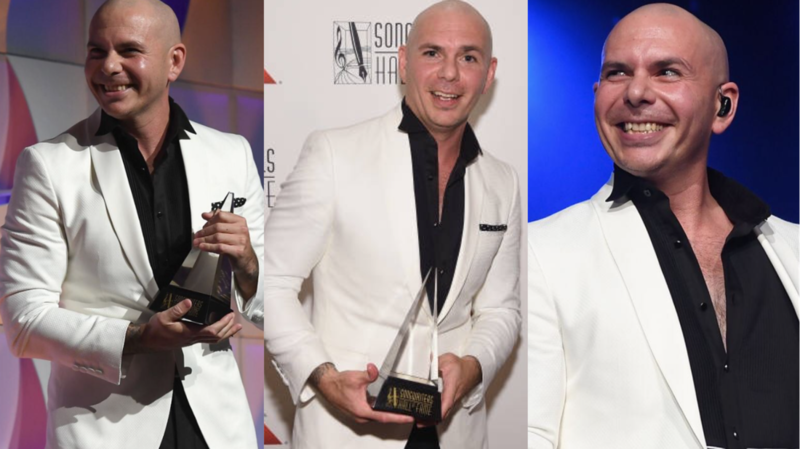 Mr. Worldwide received the first ever Global Ambassador Award at the Songwriters Hall of Fame last night at the induction and awards ceremony. As he received the award for global contributions, Armando thanked his mother and his aunt, “A woman made me a man at the end of the day. I owe everything to my mother and my aunt”. Pit also added that he believes creative people are often overlooked even though their content grosses billions. “Our music is not only powerful, but it’s the universal language,” he stated. After accepting his award, he was joined onstage by The Most Bad Ones to close the night out by performing “Don’t Stop the Party” and “Give Me Everything”. Take a look at photos and videos from the ceremony below!